To provide focused and targeted marketing efforts, which will produce measurable, positive results while being cost-effective and most efficient in spending. Julie Dion is a marketing professional with nearly 2 decades of marketing, advertising, media planning and media buying experience. She is president of Dion Marketing Company, specializing in amusement, hospitality, retail and destination marketing. Julie is recognized as a leader in the marketing industry and her community. Her company has produced multiple top marketing awards of excellence for her clients. She has also been a speaker for the International Association of Amusement Parks & Attractions (IAAPA), the World Waterpark Association's (WWA) annual symposiums, as well as other industries across the country. Her topics include Media Negotiations, the Importance of Partnerships, Promotions, Stretching the Ad Dollar and social media. 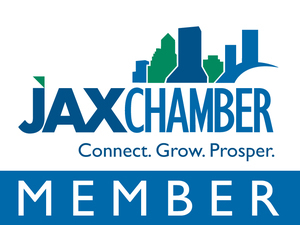 Julie currently serves on the marketing committee for IAAPA, and she is on the Board for Duval County Research and Development Authority. She is a past member of the University of North Florida's Dean's Education Advisory Council and has served on the Tourism Development Council for Duval County, FL from 2010-2011. She has a B.A. degree in Journalism from the University of North Carolina at Chapel Hill, with her area of concentration in Advertising. Her other work experience includes VP of Marketing for Adventure Landing Companies and advertising positions with full-service ad agencies in Durham, NC and in Neptune Beach, Fl. After college she worked as an Advertising Manager for The Chapel Hill News (youngest department head in company history). In addition to her work experience, Dion also studied and completed an extensive week-long training course through the Media Buying Academy in Washington, DC. Julie is married, a mother of three children and enjoys running, biking, swimming, gardening and reading. Turning ideas into reality is what Lisa does for our clients at Dion Marketing. With over 10 years of experience in graphic design and art direction, Lisa helps our clients communicate their marketing message effectively and with impact. Lisa's past experience includes being the senior graphic designer in many industries, including fashion, music and non-profit. She has extensive design experience on a variety of projects including brand identity, catalogs, flyers, brochures, web design, e-commerce, packaging and posters. With two degrees from Mt. Hood Community College in Portland, Oregon, Lisa has demonstrated excellent communication and organizational skills and is very good at handling multiple projects with overlapping deadlines. In her free time, Lisa likes to go treasure hunting at thrift stores, go to the beach, and hang out with her two dogs. A Zoologist/Art Teacher/Fashion Designer - I had lofty goals! Serena brings to Dion Marketing experience in graphic design and extensive knowledge of print production. She received a B.A. in Graphic Design from Flagler College in St. Augustine. 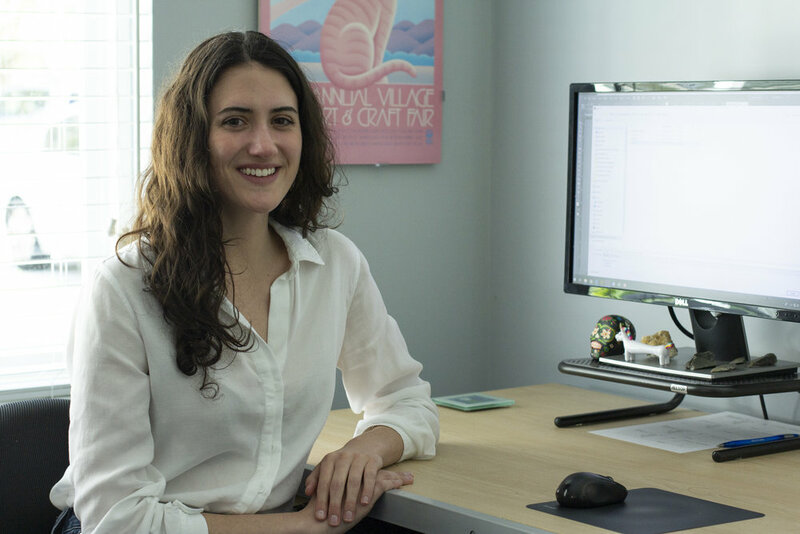 Since graduating, Serena has gained experience as an Art Director and Graphic Designer and has also done freelance work for various businesses throughout Jacksonville. Serena has won numerous awards including the Who’s Who Among Students in American Universities and Colleges Award. In her spare time, Serena helps local organizations spread awareness on how to reduce our carbon footprint and save our oceans. Through her creative tendencies, Morgan discovered her passion for marketing. She graduated from the University of North Florida, where she received a Bachelor of Science in Communication with a concentration in Public Relations and a minor in Photography. During her time at UNF, Morgan was the photo editor of the college newspaper, a member of the equestrian team, and seasonal photographer at Walt Disney World. She arrived at Dion Marketing after spending some time in communications at a professional soccer team. At Dion Marketing, she enjoys building relationships through public relations, writing and creating content used across digital platforms. As an Atlantic Beach resident, Morgan loves to spend her days off at the beach or outdoors. She also enjoys traveling and working with groups that empower women to achieve their dreams. Beverly is a Jacksonville native who has a passion for writing and connecting with others. She received a B.S. in Communication from the University of North Florida with a concentration in Public Relations in August 2018. During her time at UNF, Beverly interned at a public relations agency where she wrote blog posts, pitched to the media and took part in weekly group meetings. Beverly specializes in content creation for our clients. She writes everything from social media and blog posts to pitch letters and news releases. Beverly also has an extensive background in retail customer service, making her keen to consumers’ needs and expectations. In her free time, Beverly enjoys singing and playing music on her piano and shopping for vinyl at local record stores. On the weekends, she loves to spend time outdoors with her family and friends. Kellee is a Jacksonville Beach native who enjoys writing and all things public relations. She received a B.S. degree in Communication from The University of North Florida with a concentration in Public Relations and a minor in Psychology. During her time at UNF, Kellee was part of the Delta Gamma Fraternity and held internships at a non-profit and an advertising agency. Kellee also has extensive training in customer service and retail, providing her with a well-rounded knowledge of consumer needs. In her free time, Kellee loves going to the beach, traveling and finding new adventures. A professional Dancer - I loved performing since I started dancing at 2 years old. My cell phone and charger because it always dies! Cheyenne is a Michigan native who formerly served as a television news producer in Detroit. She always found a way to bring positivity to her newscasts by shining a light on the every day people making a difference in her community. She received a B.A.A. in Broadcast and Cinematic Arts from Central Michigan University, with a semester abroad in New Zealand. Her love for adventure inspired a return journey to New Zealand, where she and her husband spent a year riding their bicycles across the country. The two offset costs by trading volunteer hours for food and accommodation with small business owners. Their favorite work exchange was serving as sailing crew on a wildlife spotting harbor cruise. Cheyenne now lives in Neptune Beach, where you can find her soaking up the rays, flying her kite, and learning how to surf. Lindsay’s first love is writing and she’s followed that passion into a public relations career with Dion Marketing. She received a B.S. degree in Communication from the University of North Florida with a concentration in Public Relations in April 2018. While at UNF, she was a sister of Delta Gamma and Editor-In-Chief for Spoon University. She interned at Brooks Rehabilitation in the marketing department where she wrote blogs, assisted with the press and helped coordinate events. She interned for Morris Publishing Group in the Florida Times where she was in charge of multiple social media accounts and created content. Lindsay specializes in content creation and uses words to help our client’s ideas come to life, from social media posts to formal news releases and everything in between. Writing has been a consistent theme throughout her life and Lindsay loves that she’s able to use this skill in her career. In her free time, Lindsay loves going to the beach, hanging out with her cat Belatrix and listening to true crime podcasts. "Dion Marketing has been a great asset for Children of Fallen Patriots Foundation. The team at Dion has a clear vision of our goals and is quick in getting what we need...when we need it. Their creativity and clever ideas have helped our foundation in both awareness and community support." "Dion Marketing has been a pleasure to work with. Projects are always done on time and the attitude is always 'get it done now with quality.' Our sales have increased since we started working with Dion Marketing and communication has been excellent." "One of the most impressive aspects of Dion Marketing is their vast knowledge in all areas of marketing and advertising. Thanks to Julie Dion and her team's hands on approach, we now have a fantastic new website and our social media and Facebook promotions have received great reviews. Before working with Dion Marketing my family fun center struggled to achieve a successful social media Facebook page. We now receive rave reviews for our Facebook page with our "Likes" going through the roof. There is no doubt that Dion Marketing has increased my revenue with their Facebook promotions." "The Friends of the St. Augustine Amphitheatre, Inc., (FOSAA) secured Dion Marketing to design and market an event. Julie and her staff went over and beyond their duties to help us make our event a success. Julie even went as far as to help us recruit sponsors. Our organization owes much of the success of this event to Dion Marketing and the strategies she used to market our event. Dion's marketing firm knows how to design and market events to the public." "Dion Marketing's attention to detail is amazing. Down to the smallest portion of funds in the campaign being allocated,, she had her eye on it. How would it lay out, looking and re-working the schedule to maximize every penny. Asking for opportunities above and beyond, if it made sense for her client, she wanted to see it. A tough negotiator, but fair and lending herself to a more partnership angle. 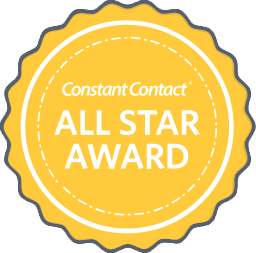 When working with Julie, I felt like I was included in the formation of the campaign and therefore, I had vested interest in helping her client achieve their goals." “Ecstatic” is the best word to describe how we feel about working with Dion Marketing, considering our attendance doubled after our first season with Dion. We were advised that we should work with a local company to promote and market our business here in Long Island, but that couldn’t be any further from the truth. In addition to securing major cash sponsors and promotional partners for Chamber of Horrors NY this season, they have secured and have set up major and meaningful news coverage for us, and they have taken our social media platforms to a new level. The team at Dion Marketing is highly professional, very responsive and a pleasure to work with. I welcome anyone who is considering hiring Dion Marketing to contact me personally for a reference. "On behalf of the Pepsi-Cola Company, I want to take this opportunity to express my sincere appreciation for Julie Dion. Her professionalism and kind demeanor was the determining factor for the Pepsi-Cola Company to sign a three-year annual commitment contract with Adventure Entertainment. In all of my 27 years at Pepsi-Cola, Julie Dion in one of the sharpest professionals I have dealt with. She is able to conceptualize great marketing ideas that benefit both her clients and vendors." "Over the past several years it has been my pleasure to work with Mrs. Julie Dion. Her professionalism, combined with her industry experience has certainly helped establish a great working relationship and I feel, truly reflects her ability to work with nationally branded companies and develop the necessary components to make programs a success for all. Good Humor-Breyers has benefited from-the customized sponsorship package she has created and with the help of her complete marketing plan; we are selling more products than ever before. Ju1ie's responsiveness and service to our is much appreciated which has made a win-win partnership for everyone. On behalf of Good Humor-Breyers Ice Cream, I take this opportunity to inform you of Julie's vast understanding and knowledge of the business. Her expertise and ability of developing successful marketing ideas will not go unnoticed." 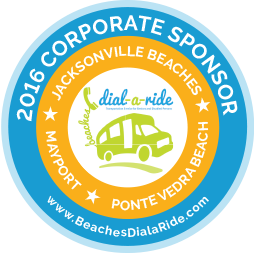 "On behalf of Panama Jack, I wanted to take this opportunity to inform you of the outstanding job that Julie Dion has done. Her professionalism is an asset to your company. She was aggressive in increasing our financial commitment and attentive in meeting our promotional needs." Dion Marketing has secured many marketing awards for our clients. Dion Marketing’s President Julie Dion talks about how FECs can use coupons, discounts, and package bundles to effectively drive business in this month’s Funworld Magazine. 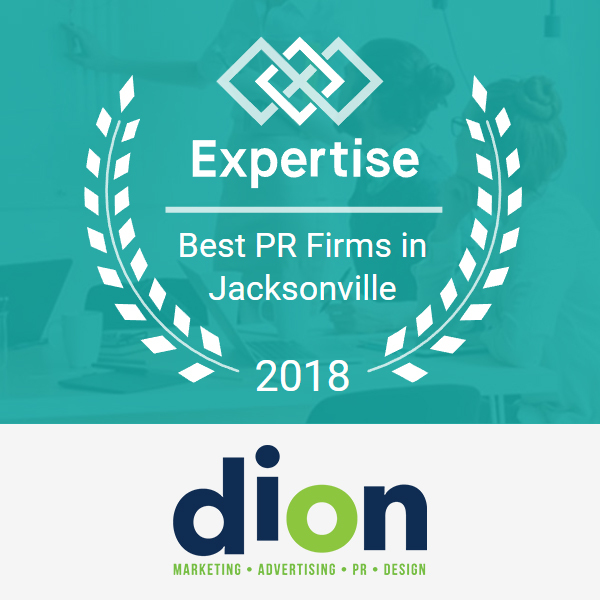 Expertise, a company that identifies the top service professionals in over 100 business categories across 1000 cities, has selected Dion Marketing as one of the best public relations firms in Jacksonville. Dion Marketing provides insights about the use of marketing, social media influencers and more for our award-winning marketing campaigns on a recent Digital Bard Zesty Marketing podcast. Listen below or anywhere you get your podcasts. 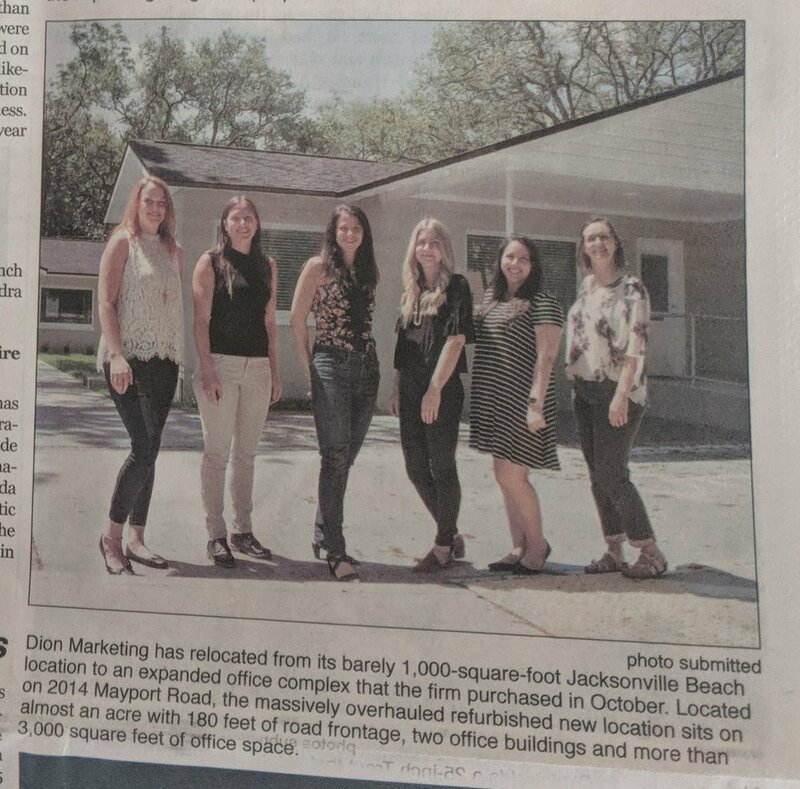 Dion Marketing has relocated from it's barely 1,000-square-foot Jacksonville Beach location to an expanded office complex that the firm purchased in October. Located on 2014 Mayport Road, the massively overhauled refurbished new location sits on almost an acre with 180 feet of road frontage, two office buildings and more than 3,000 square feet of office space.